For sale underground parking spaces near the city and the port of Denia, at Las Marinas beach. Access door with remote control. The closure of the parking places for those who want to have their closed square is allowed. Apartment overlooking a square and with mountain views. 3 bedrooms, bathroom, American kitchen, dining room and small balcony. Third floor without a lift. Apartment for sale in Pedreguer en residencial La Sella next to the Golfresort La Sella , Penthouse of 45 m2 large dobble bedooms , open plan kitchen , full bathroom and very sunny sun terrace devolpment with tropical gardens and waterfall swimming pool , 24hours security , supermarket, Pharmacy all this on just 10 minutes away frrom the beach of Denia. Penthouse in an unbetable locatie for his natur , perfect if you want to be away from the daily stress and looking for peace , and hight level of services and sport such as Golf , horseriding , tennis , swimming. Flat for sale in Orba Center. Apartment for sale in Orba on last floor.It is a 3rd floor with no elevator, old but in conditions, with many possibilities. Totally exterior, with lots of light and some mountain views from the bedrooms. It consists of 3 bedrooms and 1 bathroom, large living room and separate kitchen with gallery. Located in the centre of the village and at the same time on the outskirts. With all services around but a step away from the exit for good walks etc.Ideal also for rental investment. Modern apartment in the town of Pego, in a perfect location. The apartment is close to several parks and all services such as schools, supermarkets, bars / restaurants.It is located on the 3rd floor (without lift) and is divided as follows: entrance hall, 2 bedrooms, 1 bathroom, living and dining room, open kitchen, and utility room and storage room. 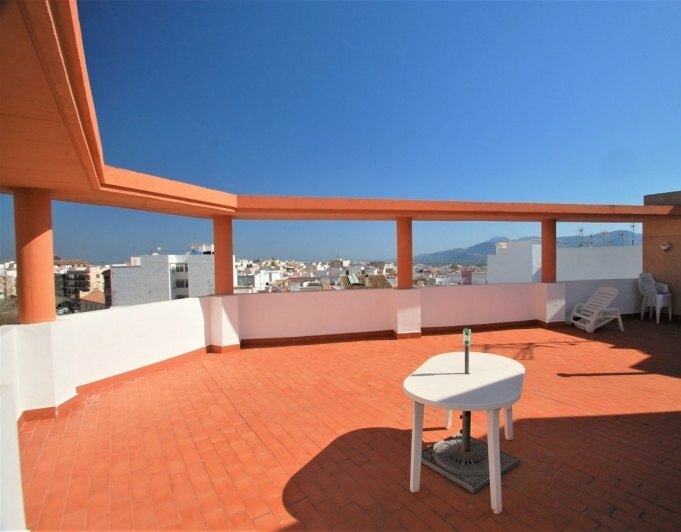 The building has a large sun terrace with stunning panoramic views of the city and mountains. Extras include: fitted wardrobes, electric radiator heating, electric water heater, white aluminum windows with double glazing and shutters, TV and satellite installation. The community costs are very affordable: about € 300 / year. There are good parking possibilities. In addition, the apartment is sold with electrical appliances.Ask us for a nonbinding visit! 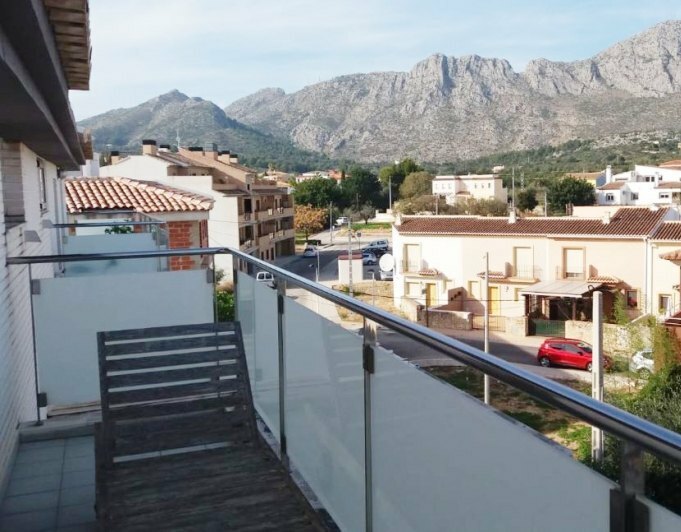 Penthouse for sale in Beniarbeig located in a building of recent construction, with access to flat feet from the street to the elevator.A dwelling that is distributed on two floors, with lots of natural light and views to the mountain. On the ground floor we have a very bright living room thanks to its three windows and in addition to the two windows to access to the two terraces located on this floor. The kitchen is independent, fully equipped and with countertop space.On this floor there is also has a guest toilet and a storage room ideal to store everything that you want.A comfortable staircase leads up to the first floor, distributed in two bedrooms with large wardrobes and two bathrooms, one with Jacuzzi and the other one next to the master bedroom with shower.On this floor you also have two terraces with access from the two bedrooms and open views. One of them very private.Parking place and storage room in the basement are included in the price.A few meters from the house you have a treelined pedestrian promenade, a newly opened school, the private Aquario hospital, health center and other services that will make your day by day very comfortable. Ground floor for sale in the Residential area of La Sella Golf, next to the golf course La Sella Golf Resort. It consists of 47 square meters distributed in 1 double bedroom, American kitchen with appliances, bathroom and covered terrace. 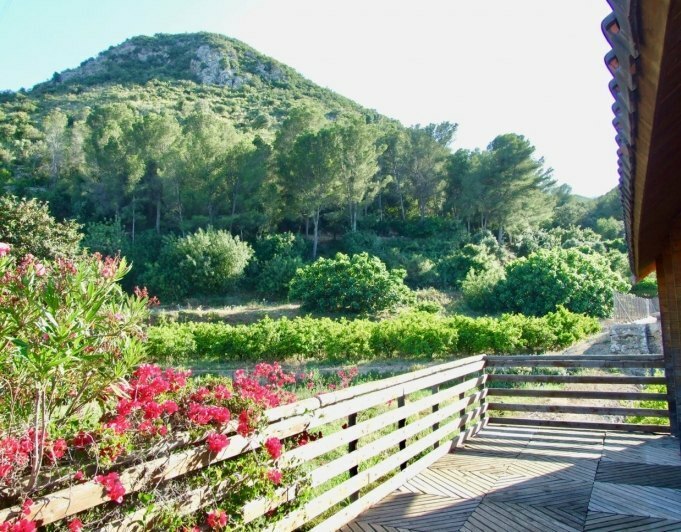 Located in a privileged environment surrounded by greenery, very quiet and close to Javea, Pedreguer, Jesús Pobre and Dénia. The complex has a large garden area and three swimming pools with waterfalls. It has 24hour security and is close to several services, supermarket, pharmacy, riding Club and Golf Club and sports facilities. Its location allows you to enjoy the beaches of Javea and Denia in just 15 minutes. Plots for sale in Vergel, Denia region. Building plots with 400 sqm with infrastructures ready to build. Plat area perfect for walking to the beach or the town center and all services. Near new shopping mall, motorway access, new modern Denia hospital and two golf courses with horse riding and tennis courts. Apartment for sale in the Centre of the town of Javea, even step of all services, shops, health centre, schools, restaurants. It has an area of 85 m2 and has a bright room, with open views to the Montgó, kitchen and laundry, three bedrooms and two bathrooms. It is a good opportunity for those seeking to live in the Centre. 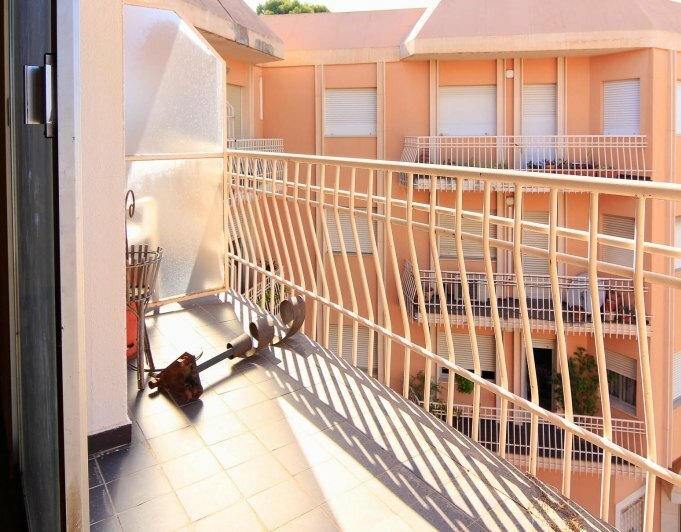 Apartment in Denia town center, walking distance to supermarkets, doctors, banks and all services. The beach is a less than 1 km. Comm. fee 35€ month. Tax 200 € year. 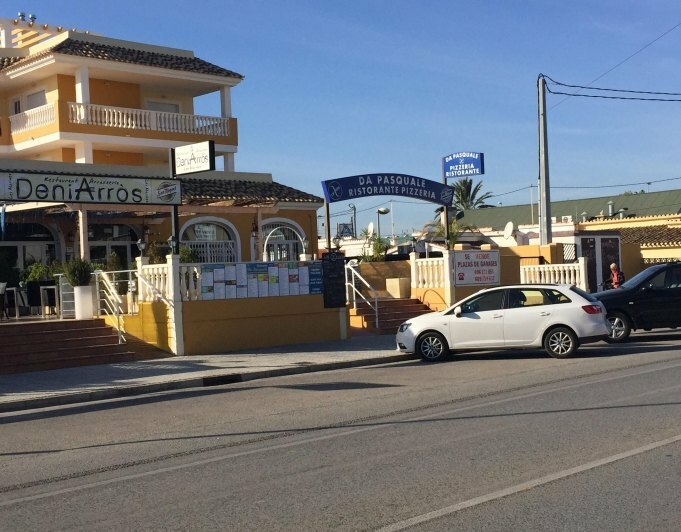 Business premises near the beach in Denia. Also for rent for 700 € month. Plots in Denia for sale. 3 building plots with sea views only 3 km from Denia and the sea. 5 km from La Sella golf resort with tennis courts, horse riding and Mariott hotel and spa, Also 5 km from the motorway access, the new shopping center and the new large modern Denia hopital. 3 plots available so now you are on time to chose the best one. Building project available.